We invite you to visit the Nerman Museum of Contemporary Art (NMOCA) to experience the creations of some of the top internationally acclaimed and upcoming artists of today. Learn about the museum and the art in-depth by arranging a guided tour (recommended for groups or 10 or more), or use our resources for a self-guided tour. 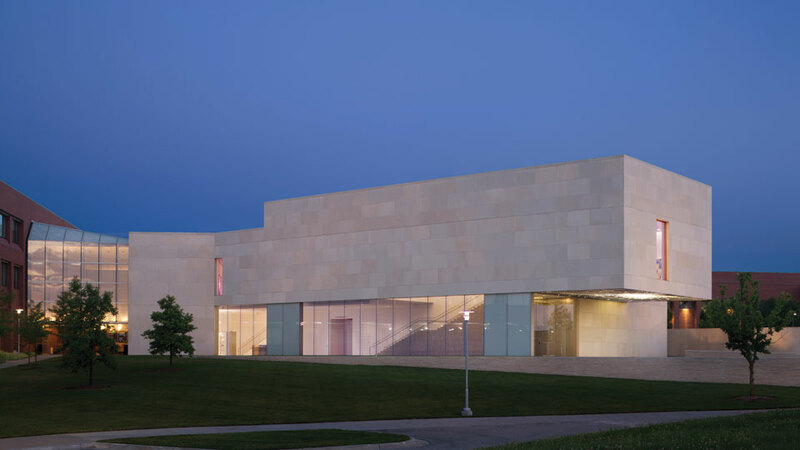 The Nerman Museum is an accessible educational environment where students and patrons learn to understand what they see, connect with artists and consider art from various perspectives. Folding campstools, pencils and clipboards are available for visitors, classes and tour groups by request. Visitors may leave personal belongings inside the coat storage areas during a tour, although JCCC cannot be held responsible for theft. Lockers are available with a 25-cent deposit. No touching the art or the cases that protect the art. No leaning on walls, cases or pedestals (either to write or for physical support). Visitors may take photos of works in the permanent collection only. Loaned works may not be photographed. Photography with flash or video recording is not allowed inside the museum. Visitors are kindly requested to silence their cellphones when entering the museum. Food items and liquids are not allowed inside the museum, except in the designated café space. Running, jumping or other objectionable behavior is prohibited. Use only pencils in museum galleries. Ink pens and markers are prohibited. Backpacks, oversized handbags, umbrellas or other bulky objects may not be brought into the galleries; visitors may leave these items in storage closets. Café Tempo lunch fare features upscale salads, soups, panini sandwiches and desserts. To host your next special event at the Nerman Museum of Contemporary Art, contact our scheduling office. The following resources are provided to assist you with information about our museum and artwork. Dine in our café for breakfast before your visit or lunch in the afternoon.